Glenn at 21 when he served as Radioman 1st Class aboard the Liberty ship John A. Donald for three years after the war. Photo provided. Glenn Meyers of North Port, Fla. decided to joint the war effort at the tail end of World War II when his older brother, Elmer, was captured by the Germans during the Battle of the Bulge. He was a senior, and football star. at Elizabeth High School in Pennsylvania, outside Pittsburgh, at the time. “My folks got a Telegram from the War Department about my brother’s capture,” the 87-year-old local man said. “It arrived in January 1945, but we didn’t know if he was wounded or not. All we knew was he was at least alive. “I found out one had to have an FCC Commercial Telegraph License. I bought two books: an engineering college text book and a second book that had all the answers to the test questions I would have to know to get my communication license. I studied up, took the test, passed it and became a Radioman 2nd Class. 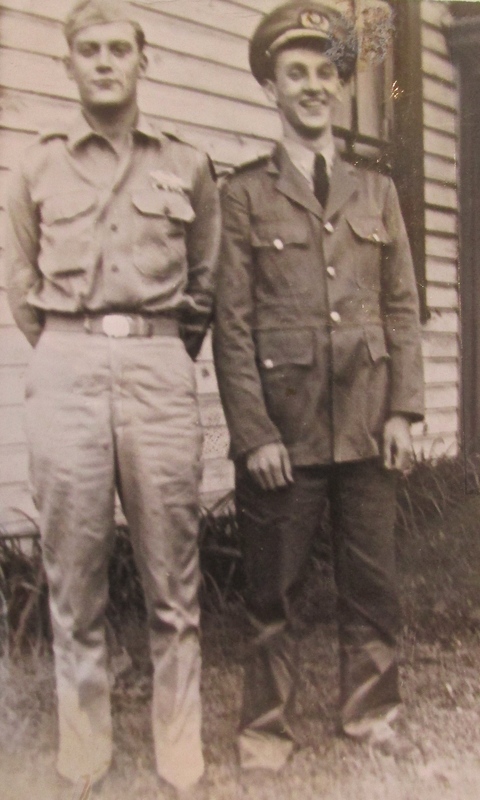 “Myself and my buddy who took the test with me went by the union hall, joined for $10 and I was assigned to a Liberty Ship that was taking a boat load of grain to Egypt in mid-August 1945,” Myers recalled almost 70 years later. “We were supposed to leave Brooklyn aboard the freighter headed for Egypt on Aug. 15, 1945, but we didn’t make it. August 15 was ‘VJ-Day” (Victory over Japan) and we wanted to celebrate the end of World War II along with the rest of New York City,” he said with a smile. “I spent 5 cents on ‘VJ-Day’ and took the subway to Times Square. The party was on and since I didn’t drink, I was still only 18, I spent my time kissing the girls,” Myers said with a grin. 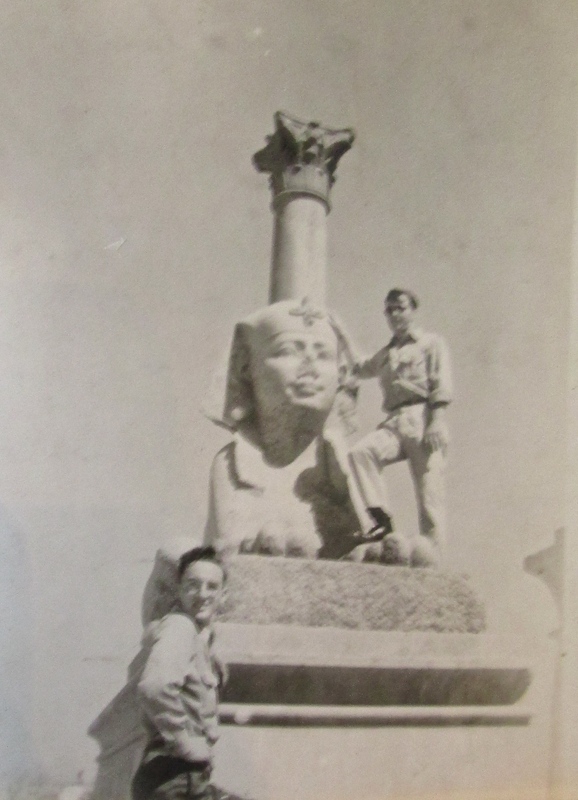 “We sailed for Egypt the next day after celebrating the end of World War II. I was the 2nd Class Radio Operator aboard ship,” he said. 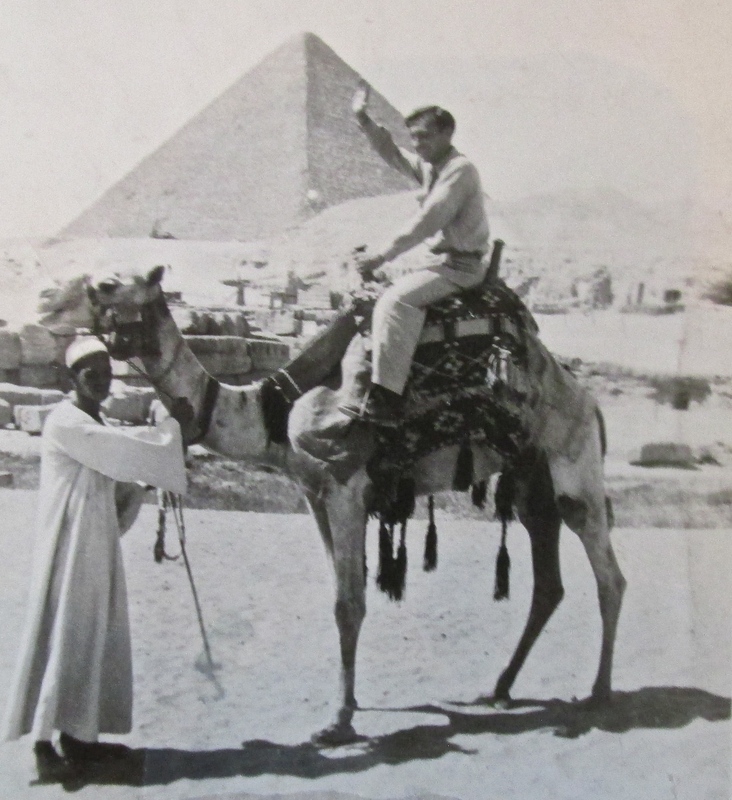 “When we reached Alexandria, Egypt after two weeks at sea crossing the Atlantic and the Mediterranean, to Cairo I got to see the Pyramids and the Sphinx. From there Meyers and the ship head out to sea and on to Turkey. They first landed at Iskendurn, Turkey, a port city along the Black Sea. “We sailed on to Mercer, Turkey and pick up a load of cobalt, used in making steel,” he said. “While they were loading up my buddy, the other radio operator, and I got to walk into town. “The other guys aboard ship ordered beer at an open bar along the street in Mercer, but I decided I wasn’t going to like beer. So not ever having anything to drink I ordered two small bottles of anisette-like whiskey and drank ’em down. “I walked back as far as the dock, sat down and keeled over. They had to lift me into the launch that took me out to the ship. They left me on a cot on the deck over night. Surprisingly enough, the next day when I woke up I had no hangover,” Meyers recalled half a lifetime later. 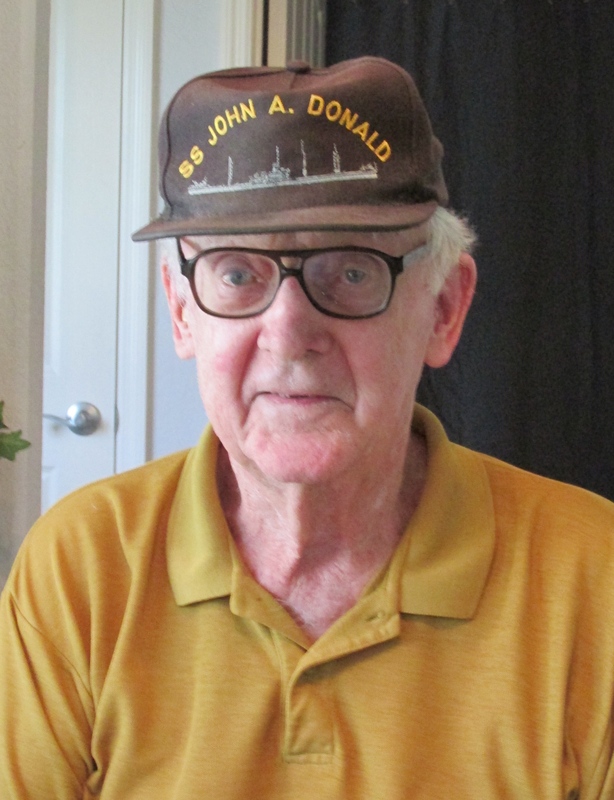 For the next three years he served as a 1st Class Radio Operator after returning to the States and spending all his time aboard a Liberty Ship called the John A. Donald. Meyers had to get upgraded to 1st Class Radio Operator if he was to continue to sail aboard ship as a member of the Merchant Marines. In 1948 he decided to do something different in the way of work and got a job as a TV repairman with RCA. For the next few years he fixed home televisions and installed antennas for people. By the time he was 29 Meyers had had enough of the TV business and went to work for IBM as a computer repairman. Eventually, in 1956, he was installing IBM-704 Computers for business use that could completely fill a couple of rooms in a normal home today. They were so big primarily because the were the forerunner of today’s computers and still had radio tubes. Meyers worked for IBM until he retired in 1990. At that point he and his wife, Sonja, retired and moved to North Port. Why North Port? Because his older brother, Elmer, retired to Englewood. Glenn and Sonja Meyers have seven living children: Scott, Christine, Gregg, Gary, Gordon, Gwen and Glenn. *Click here to read Elmer Meyer’s interview on War Tales. This story was first published in the Charlotte Sun newspaper, Port Charlotte, Fla. on Monday, June 8, 2015 and is republished with permission. Great read! Interesting to see how one brother’s fate directs the other that leads him to see the world.